Launched in 2009, the Martin i Soler is part of the Balearia+ series meaning it's faster, much greener and more luxurious than a conventional ship. 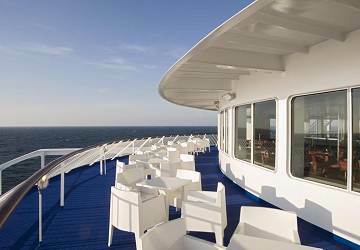 Onboard this modern ship you'll find a bar, cafeteria, self service restaurant, a choice of cabins, comfortable seating lounges, children’s play area,luggage lockers, a solarium, swimming pool, games room and a shop. The Martin i Soler features numerous 4 berth air conditioned en-suite cabins with 2 seat table and wardrobe, 2 double cabins adapted for passengers with reduced mobility and 4 luxury suites with 2 king size beds. 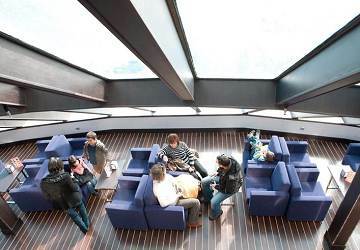 All cabins are modern with a minimalistic interior design. 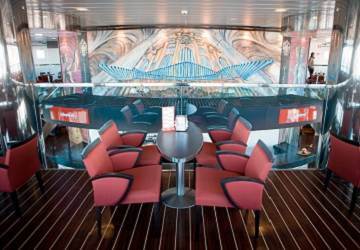 This ship also has a 'Neptune' Lounge which is a pre-reserved spacious seating area featuring fully reclining black leather seats and electrical sockets. 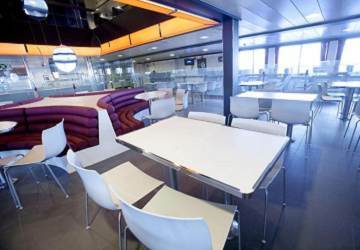 The Martín i Soler has several bar and restaurant facilities including a self-service restaurant with something to suit all tastes as well as a Pizzeria. The restaurant offers a children’s menu and low-calorie options. 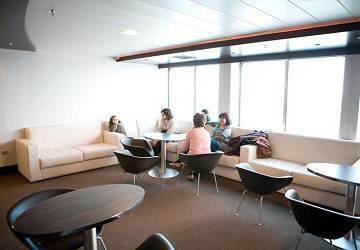 In the summer months there is ice-cream café during the day and chill out bar in the evening. 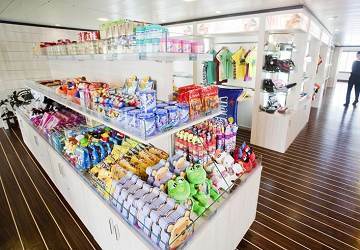 In the onboard shop you can buy cosmetics, perfumes, chocolates, sweets, clothing, gifts, travel essentials and more. 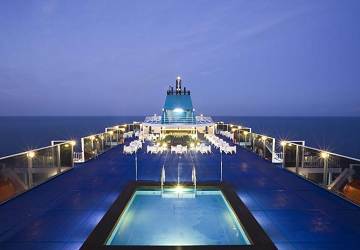 On the decks there are deckchairs and benches where you can relax and enjoy the crossing as well as a swimming pool with outdoor bar and several relaxation areas. The Martín i Soler also features permanent mobile phone coverage through the SEANET network which provides international satellite coverage (calls carry a surcharge which varies depending on the operator). Wi-Fi is available for a small fee during the crossing too. 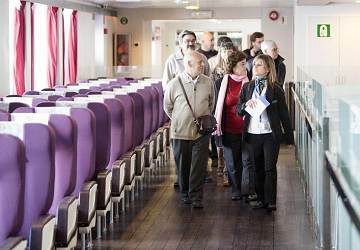 Children will not get board during their crossing on the Martín i Soler. 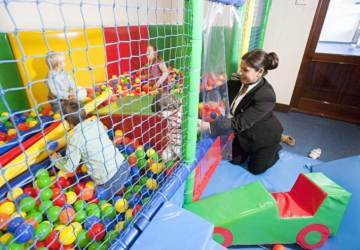 There's a dedicated play area for young children and a games room for the older children. 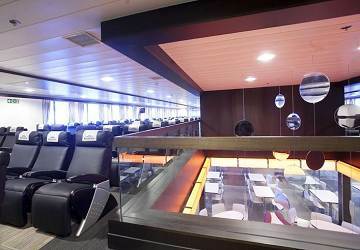 There are also lifts connecting all the passenger decks. Please Note: Whilst we have taken great care in making our Martin i Soler guide as accurate as possible, onboard facilities, services and entertainment may vary depending on the date and time of year that you travel, facilities mentioned may change without notification and ferry companies reserve the right to operate vessels other than those mentioned at time of booking without prior notification. 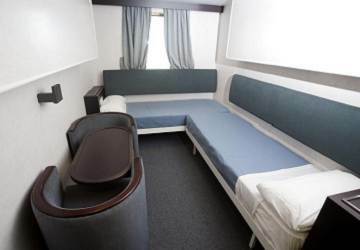 It was not easy to rest on the night outbound trip, even in a 1° class seating, also the stop at 4:45 am at Alcùdia interrupted a rest already poor because of kids presence not really inclined to sleep, I will recomend the cabin! !The return trip during the day was more pleasant, even if you lose the day, the time goes nicely because of the differnt services on board, like bar, pool, shops. We had lovely, 2hours of sailing from Menorca to Majorca on a very clean ship. 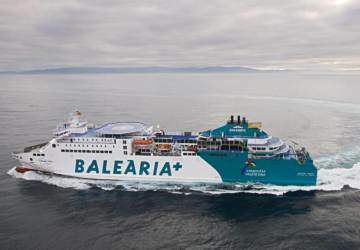 It was a good journey and we are going to travel again with Balearia.